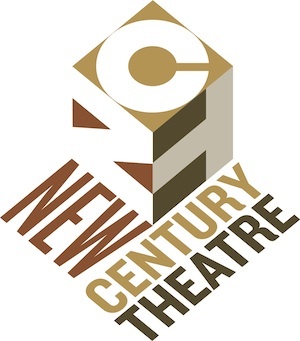 Auditions for New Century Theatre's 26th season are this weekend! Email us if you would like to reserve a slot for the mainstage season or for NCT Kids! I'll be backstage at the Academy all week for Pioneer Valley Ballet's SLEEPING BEAUTY and THE FIREBIRD. Perhaps I'll see you there? Double Olivier Award-winning playwright David Hare has accused artistic directors of prioritising box office takings over cutting-edge work, claiming they are confusing “what is popular with what is good”. The acclaimed writer, whose hits include Skylight, Amy’s View and the recent adaptation of The Master Builder at the Old Vic, was speaking as part of the Festival at Hampstead Theatre. He said that his time as literary manager for the Royal Court in London at the age of 21 taught him that “anything good was going to be massively unpopular”. He highlighted how Saved by Edward Bond, now “thought to be the great classic of the period”, played to 25% capacity, but said that theatres should be producing edgier content. The Westfield Theatre Group, a department of the Westfield Woman's Club, proudly presents Anything Goes! Tickets can be reserved online or by calling 413-572-6838. The April 2 performance will be a benefit for the Carson Center, a program of the Behavioral Health Network. All tickets for that show must be obtained by calling 413-568-1421 xt 312. 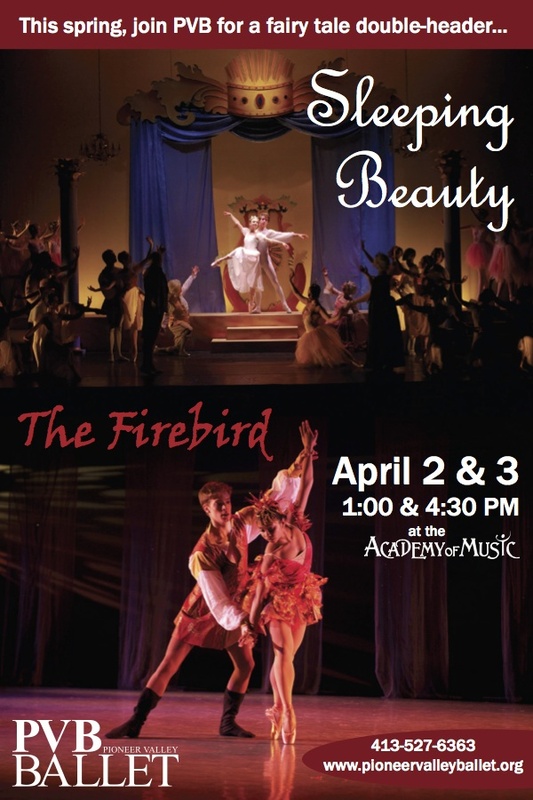 The stories of Sleeping Beauty and The Firebird come to life April 2 and 3, 2016. Presented by Pioneer Valley Ballet, two beautiful ballet tales are in one performance. First, the colorful characters and spell-binding choreography of Sleeping Beautywith musical score by Tchaikovsky transport audience members to a Kingdom with magical fairies and the evil Carabosse. Then, The Firebird enchants audiences with music by Stravinsky to tell the journey of Prince Ivan, his battle with the immortal magician and the enchanted feather of the Firebird. Direction and choreography created by PVB Co-Artistic Directors Maryanne Kodzis and Thomas Vacanti. In the year 1632, Dr. Henry Bury, vice chancellor of the University of Cambridge and suspected necromancer, hangs himself on Easter Sunday. Despite the efforts of his dear friend (and perhaps more) James Somerville, the death is ruled a suicide. Three centuries later, in 1913, Charles Cooley, an Irish student, moves into Henry’s old rooms in Corpus Christi College, and finds himself drawn to the rambunctious and privileged Archer siblings, Katherine and Julius, and their friend Mark. Separated by hundreds of years, the two outsiders find themselves connected—haunted— by similar questions of identity and concerns about marginalization. 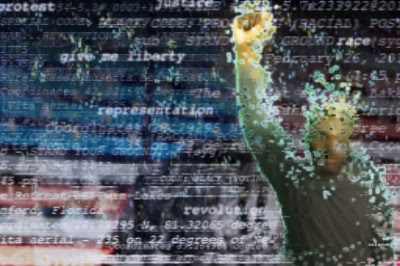 All of these characters will have to choose whether to keep silence or face the consequences of their words as well as their actions, particularly when it comes to how they feel about one another. 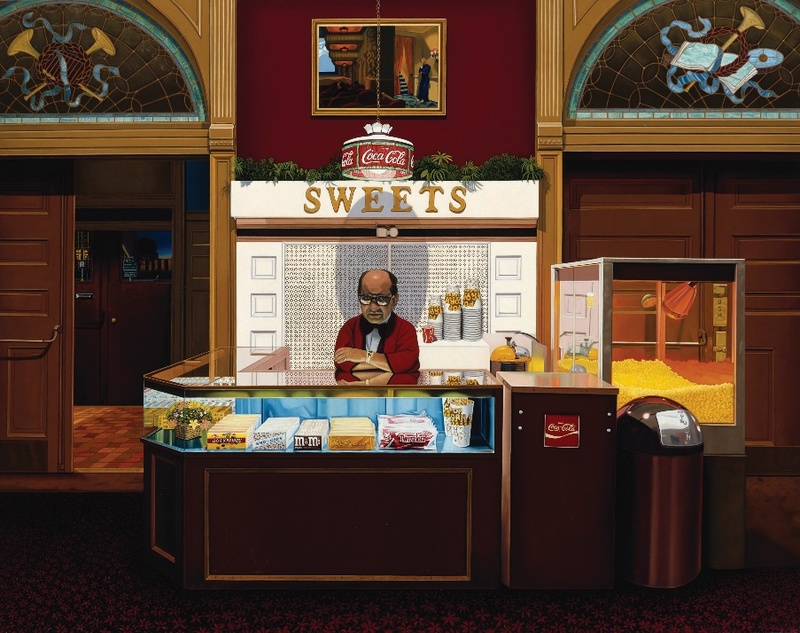 The opening reception of a retrospective of the iconic Academy of Music as depicted in art, featuring works by Randal Deihl, Deborah Rubin, Jeff Kern, Mo Willems, Jeanne Birdsall, John Gnatek, Bill Rohan, and Steve Hannock. Join us from 6-8pm at R. Michelson Galleries on Main Street during April's Arts Night Out, or enjoy the exhibition during the gallery's business hours through April 21st. and Sunday, April 10 at 1:30 PM. 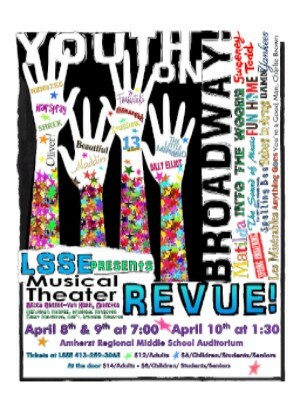 For tickets, call: LSSE at 413-259-3065.
and at the door-Adults $14, Children/students/seniors-$8. Based on events in 1937, "We're Happy about the Whole Thing" portrays events in Ware, MA when the Otis Company threatened to close its mill, putting many residents out of work. 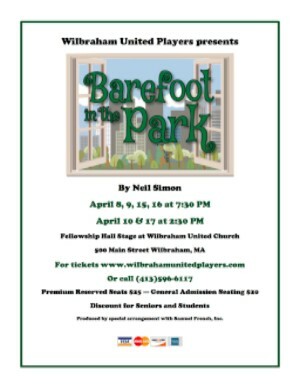 Come cheer on the employees and residents of Ware as they sing and dance their way to saving the mill and the economic future of Ware! Tickets are $15 for adults, $12 for children and seniors, to be sold at the door only. Happier Valley Comedy’s SCRIPTED/UNSCRIPTED features a cavalcade of talented improvisers and stage actors from the Pioneer Valley in a half-scripted, half-improvised, totally unique and fun show! SCRIPTED/UNSCRIPTED combines one actor performing from a script with one improviser making it all up on the spot to mix up a wild and wooly show unlike anything thing you've seen before. This show usually plays to a sold-out crowd, so you'll definitely want to get your tickets in advance to guarantee your seat. Audiences can look forward to a full evening of comic entertainment rated PG-13 in this handicapped-accessible space. 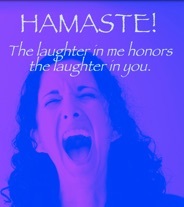 For more information about The Happier Valley Comedy Show, visit the show website. Arts Block Calendar here. God is in Therapy - and No Wonder! 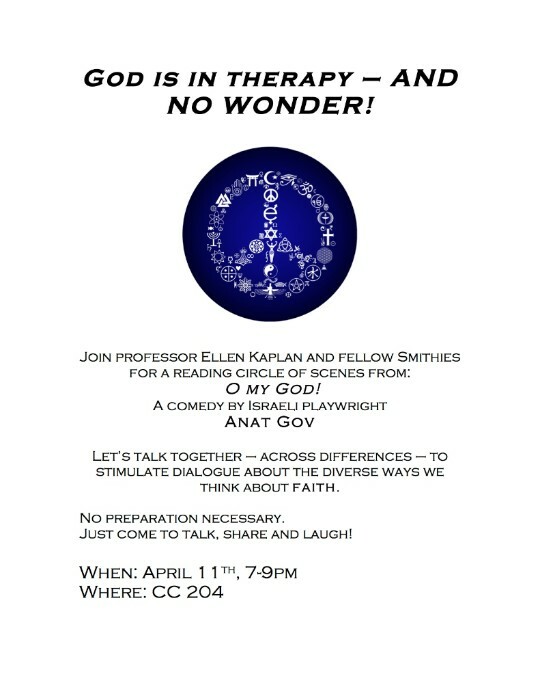 Join professor Ellen Kaplan for a reading circle of scenes from: O my God! 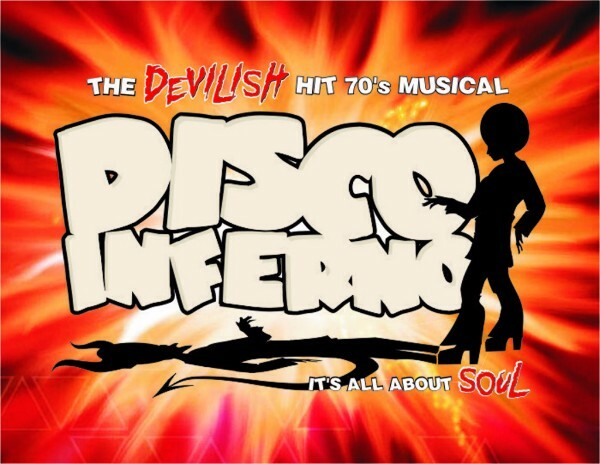 Black Cat Theater presents DISCO INFERNO! Come on down to the Disco Inferno and see this incredibly talented cast of young actors set the stage on fire! 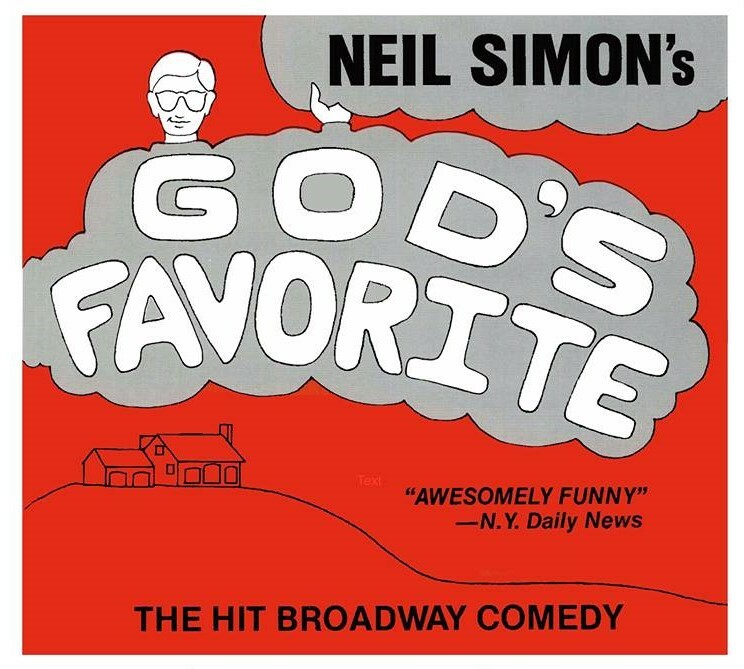 The classic tale of the soul-selling Faust is set to the greatest disco hits of the 1970's. Grabbing that jive old story and injecting it with groove, Disco Inferno is chock-full of the songs that defined a generation. Jack is an aspiring musician who wants nothing more than to be famous, so signing away this thing called a soul is a small price to pay. But Jack soon finds all that glitters isn't gold on the other side, especially if you're all out of love. SILVERTHORNE ON STAGE (S. O. S.) will feature an Open Mic, hosted by local favorite Marv Shedd, actor and member of the Fall Town String Band. Partygoers will meet this summer's directors and actors, and will be entertained by talented Company members and friends, past and present. And audience members will have a chance to strut their stuff! Tickets are only $4.99 and can be purchased at the door or at Brown Paper Tickets. The Arts Block Café hosts the cash bar and party snacks, with a treasure chest full of theme treats! In addition to the entertainment, attendees will bid on a wide range of donated goods and services in a Potpourri Silent Auction. Unusual contests throughout the evening will add spice to the experience as will valuable door prizes! April 15, 16, 21, and 22 at 7:00 p.m.
Saturday April 17th is our Senior Show and everyone age 65+ pays only $10 per ticket! 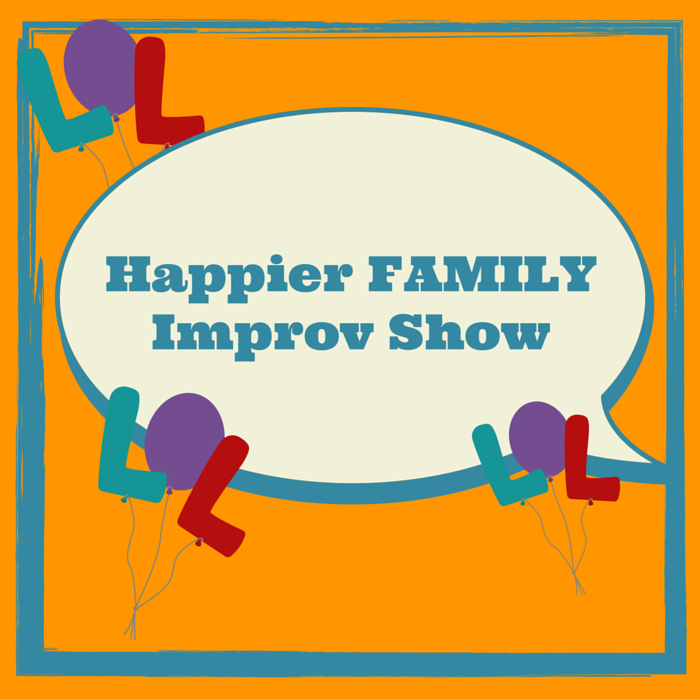 Happier Valley Comedy presents Happier FAMILY Improv Show! Finally, an improv show for the WHOLE FAMILY! Happier Valley Comedy is proud to present this high energy show running on positivity and audience suggestions. Romeo and Charlie are in flight, staying at a run down pay-by-the-hour motel. When Romeo uses his sister Charlie's ham radio, he makes contact with Nasrin, a young woman in a boat.All We Know Is Not Enough is a play which explores what it means to be a refugee, as well as the limitations of our access to immediate information and communication. * Times for rehearsals and performances will be a mix of day and evening. 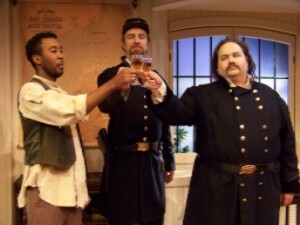 The Approach: Each production features just three performers. It’s for family audiences. 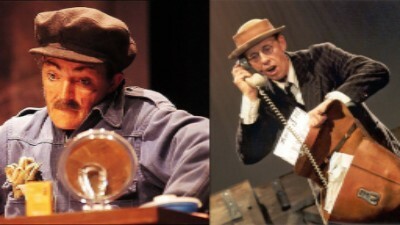 Actors play multiple roles. The rehearsal process begins with a basic script and then, through improvisation, the script is developed into a full production. 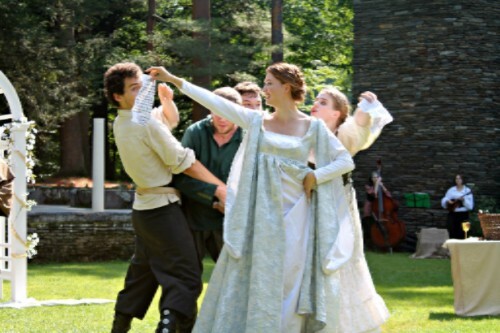 Performance Locations: We will be performing at Williston in Easthampton and at the Shea Theatre in Turners Falls. 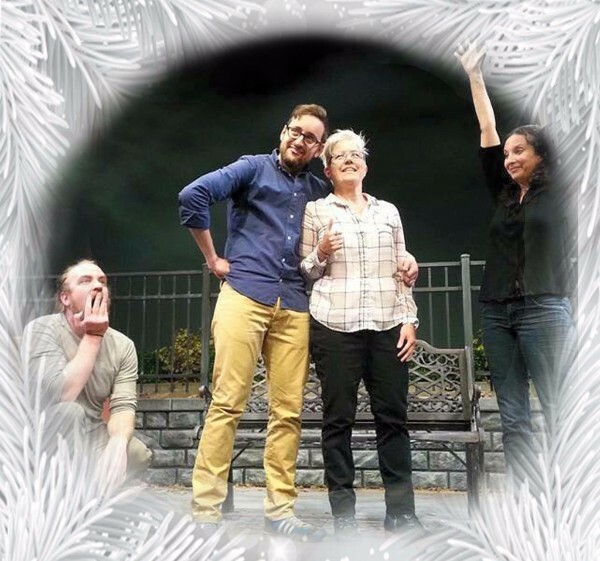 Who we are looking for: College age and older* actors who have a sense of humor, like to work in an ensemble, have an interest and maybe some experience with improvisation and a desire to perform for children and families. *We are also seeking high school age apprentices – e-mail if interested. 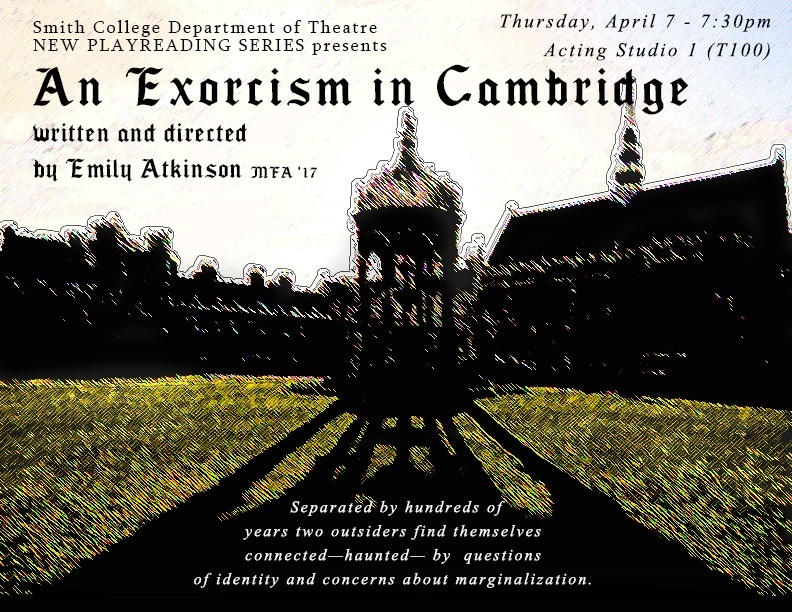 Audition Date and Location: Auditions will be held Sunday, April 3 from 1:00 - 4:00 at The PaintBox Theatre Office, 4 Old South Street, downtown Northampton (next to the Raven). E-mail Tom at Tom@TomMcCabe.com for an appointment. You do not need to prepare anything. The auditions are improvisational. The Audition Process: Bring your picture and a resume. Arrive a few minutes early to fill out forms. You do not need to prepare anything. The audition is improvisational. The time has come again for auditions for Billy Shake's Free Shakespeare's summer show in Look Park, Northampton! The auditions will be held April 15, and 16, with a possible 17th if needed. Auditions will be held on a first come, first serve, basis starting at 2:00 pm, and going until 4:00pm each day. If you are unable to make any of those times, please send an email. To schedule a time outside of that. HAMLET WILL BE CAST AS A FEMALE. All other parts will have blind casting. Please bring a head-shot, resume, and a 1-2 minute Shakespearean monologue. IF you are auditioning for the role of Hamlet, please prepare the monologue "Speech to the Players". One actor to play role of Lee, 30s, Techie in space communications, Has connections. Flamboyant, expressive, on a roll. Doesn’t hold back. Youthful (20s fine) actor to play Alien P. What hip might be like 20 light years ahead. Rehearsals the 2 weeks prior, 5 total. The reading will be on April 30 at 7:30 PM at the ArtsBlock, 4th Floor. Contact Alan Harris for more information.